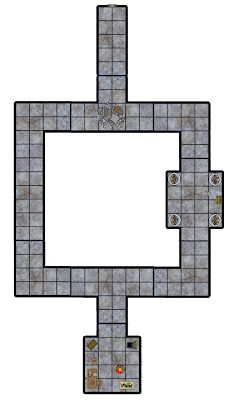 Today's Free GM Resource is a pretty cool dungeon mapping "program" from the folks over at Project Zero Games. 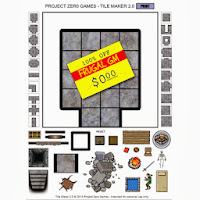 Tile Maker 2.0 is a rather simple, well....a tile maker. You use the easy web interface to create a single tile which you can print out. There are twenty different room/corridor types and a large number of items to place within each room. There were two things I noted specifically about this tile program. First was the fact that this will print out at roughly 200 DPI. If you are using this to print out 1" = 5' tiles for actual table-top play you'll get a little bit of detail loss during printing. 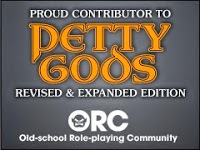 For virtual table-top use this won't be an issue. This is a pretty cool hidden feature.